(Bloomberg) -- Senegal’s decision to become the first African country on the Atlantic coast to sign up to the Belt and Road Initiative shows how quickly the transport network project connecting China by land and sea to Asia, the Middle East, Europe and Africa is expanding. 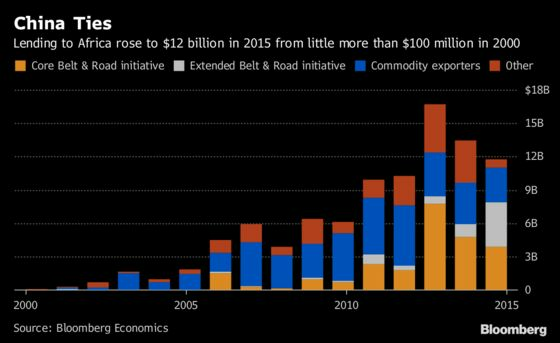 Lending by China to Africa rose to about $12 billion in 2015 from little more than $100 million in 2000. Bloomberg Economics expects China to make significant policy declarations on its lending to Africa and other economic initiatives at the next forum on China-Africa Cooperation in Beijing in September.